The Christian Carnival, as pertaining to the Carnival-Lent cycle, appeared at the beginning of the second millennium after Pope Benevent’s Council in 1091. Seen as a break in the abstinence dictated by the Church, it ends at the beginning of Lent, on Ash Wednesday, forty days before Easter. 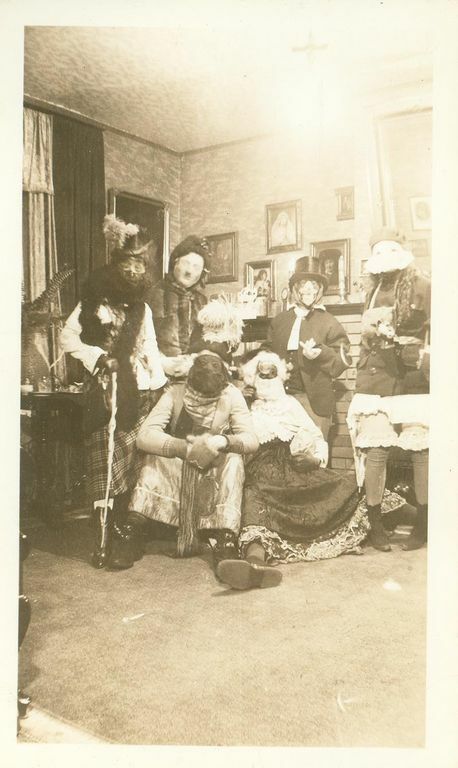 Before urban fairs appeared at the end of the 19th century, Carnival took place during Shrovetide, on the Sunday, Monday and Tuesday preceding Ash Wednesday. These three days are called “jours gras” (literally meaning fat days) in French. The expression comes from an old custom in which butchers could parade their fattest animals on the eve of the first day of Lent. They did it to proclaim their right to sell meat to sick people during this period of abstinence. During these three days, the Church allowed its followers to eat meat. Shrovetide was a time of unusual animation and of exuberant delights that peaked on Mardi Gras or Shrove Tuesday as it was also called, the final day of Carnival. The two events – Carnival and Lent – are inseparable as two halves of the same cycle. The Carnival’s festivities include all types of excess, in food and in drink. In fact, drinking alcohol is part of the tradition. 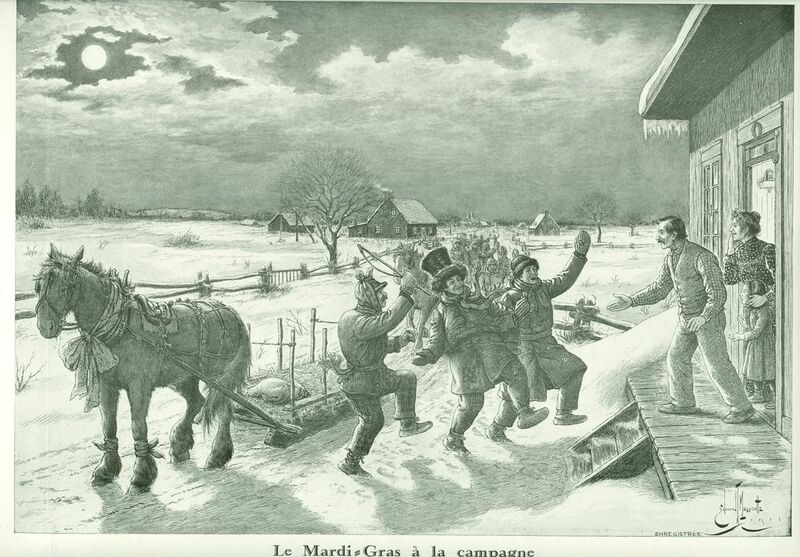 In Québec, the atmosphere resembles that of the holiday period. 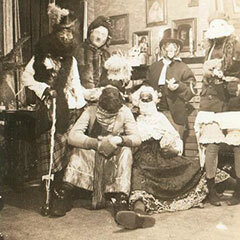 Until the end of the 19th century, Carnival is limited to the three days of Shrovetide. Later, Québec City’s winter fair made for longer festivities. Until the beginning of the 20th century, Mardi Gras celebrations were mainly evenings where people sang, danced, played cards, ate and drank. Beyond the notions of abundance and excess, Carnival is characterized by masquerades. Wearing masks and costumes so they wouldn’t be recognized, people went from one house to the next. They entertained their hosts by singing a song or improvising a gig. 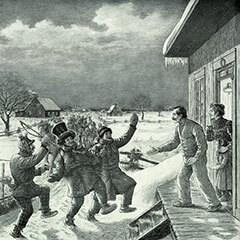 The festivities necessarily had to be over by midnight, when Lent began. 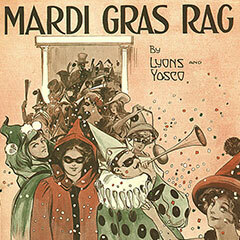 In the 1950s, organized fairs and carnivals replaced the Mardi Gras tradition. 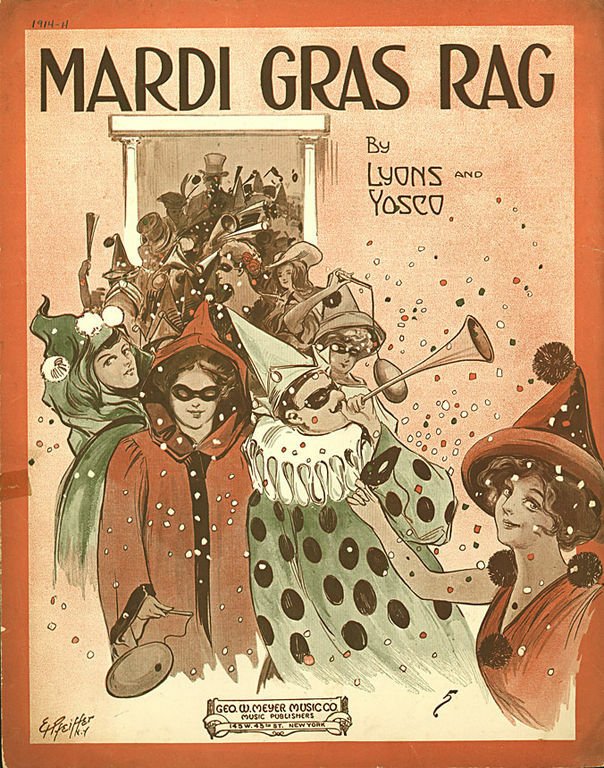 Female voice (La Bolduc) singing Fêtons le Mardi gras with piano and accordion accompaniment. From my grandfather shirt I made a cute hankie, I ripped the collar and made a nice pair of laces. Violin accompanied by a piano that plays a reel.